Clothing/Jewelry Description A blue jacket, a gray turtleneck sweater, a green velour t-shirt, blue jeans with a star on the right rear pocket, and brown suede shoes. Distinguishing Characteristics Caucasian female. Brown hair, brown eyes. Some agencies may spell Nicole's middle name "Lynne." Nicole's mother, Melody Thomas Childs, told authorities that her daughter was abducted from a shopping cart on March 9, 1982. Childs claimed that Nicole was sitting inside the cart at a Giant Eagle supermarket store at 23rd Street and Jane Street on the south side of Pittsburgh, Pennsylvania. She stated that when she turned around for a moment, Nicole disappeared. A photograph of Childs is posted with this case summary. She and Nicole lived in the 2000 block of Sarah Street. Authorities were skeptical of Childs's account from the beginning; no one else remembered seeing Nicole in the grocery store at all that day. Several days after Nicole disappeared, a letter was found in her mother's home which was purportedly from Nicole's abductor. The letter stated "Nikky" was dead and buried. Handwriting analysis determined it was probable that Childs herself had written the letter. An extensive search yielded little evidence at the time and Nicole's case became cold. Timothy Wayne Widman confessed to Nicole's murder four years later in May 1986. A photograph of Widman is posted with this case summary. He was imprisoned on burglary charges at the time of his claims. He had been Childs's boyfriend and lived with her and Nicole in the 2000 block of Sarah Street in 1982, but by the time of his confession he had ended his relationship with Childs. Widman said that he slapped the child in March 1982 after she bit his toe, and she fell and hit her head. Afterwards, he was unaware she was seriously injured and Childs put her to bed. She was found deceased the following day. Widman claimed that he and Childs put Nicole's naked body in a green plastic garbage bag and buried it in shallow grave in a wooded area along Timberland Road in Brookline, Pennsylvania. They then reported the abduction to cover up Nicole's death. People who knew the couple reported that Widman regularly abused both Nicole and her mother, and that Childs was fearful of him. She was still married to her first husband, Nicole's father, at the time she was involved with Widman. Nicole's father lived in Texas in 1982 and was quickly ruled out as a suspect in his daughter's case. A search was conducted in the region for Nicole's remains, but nothing was located. Widman was nevertheless charged with involuntary manslaughter in her case shortly after his confession, but the charges were dropped in 1987. Prosecutors stated that there was not enough evidence against Widman to support any charges; the law at the time dictated that a body had to be found to prove homicide. Childs, who moved to Garland, Texas and married after Nicole's disappearance, was arrested in June 1986 and charged with felony counts of hindering prosecution and providing false reports to the authorities in connection with her daughter's case. The charges were dropped after Widman refused to testify against her. Childs died in Texas in 2001. In September 2006, Widman was charged again with criminal homicide in Nicole's presumed death. Investigators did not have any fresh evidence against him, but it is no longer unheard of for homicide cases to be prosecuted without the victim's body being found, so authorities decided to go forward with the case against Widman. He cooperated with the investigation and, in May 2007, admitted to Nicole's murder and pleaded guilty to involuntary manslaughter. Widman was sentenced to two to four years in prison, with credit for time served. Authorities stated they did not have any evidence to prove intentional murder, as Nicole's body was never located. Widman has apologized to Nicole's surviving relatives. He died in 2011, at the age of 56. 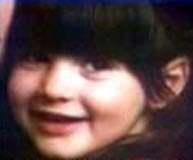 The missing child's report date is listed as March 11, 1982, although Childs claimed Nicole was abducted on March 9. Updated 7 times since October 12, 2004. Last updated August 6, 2012; clothing/jewelry description added, details of disappearance updated.